Is your heating system failing you and not providing the comfort you need and deserve? 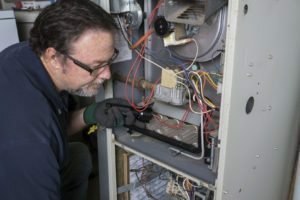 Let the experts at Pasterkamp provide a heating and cooling system analysis to determine whether or not you need a replacement or some recommended key repairs. So it’s time to replace your heating and cooling systems – allow us to educate you about how to make the best decision on replacing or repairing your heating and cooling systems. A heating and cooling systems that is not installed correctly can be the cause of ongoing problems and greatly affect your comfort, your safety and your pocket. Our Pasterkamp Pros are expert HVAC technicians and are well-versed on all the different types of heating and cooling systems and brands and will get the job done right the first time. We have total confidence that we have the right teams in place to be careful in your home, considerate of your space and thoughtful when it comes to your complete comfort. We can repair all makes and models of heating and cooling systemss to extend the life of your heating and cooling systems rather than immediately recommending a heating and cooling systems replacement. We will carefully listen to your needs, evaluate your best options, and educate you on the best cost effective solution. We will recommend heating and cooling systemss that meet your specific size and capacity needs – no larger or smaller – guaranteed. If a new furnace, boiler, or air-handler is the best solution for you we will make sure it is sized exactly to your needs through our customized heat load analysis. No hot water? Is your boiler making funny noises? Whether it be for your home or business, Pasterkamp Pros can give you the best options. Sometimes the best and only option is to replace it. 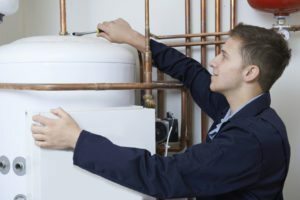 If you’re looking to have professionals repair or maintain your existing boiler, you’ll find the help you need from our trained Pasterkamp experts. If you’re in need of a new boiler that will yield reliable and efficient performance, we have several options for you. Our options include boilers with high efficiency ratings and highly technical innovative features that will minimize heat loss and deliver significant cost savings. New boiler options are designed to provide quiet operation, maximum comfort, and year after year reliability. Our HVAC technicians – or Pasterkamp Pros – will give you honest opinions and experienced service regarding your replacment and repair options.